Openwave Specializes In Providing Various Services Like Website Design And Development, Mobile Web Application Development, Desktop Application Development, Internet Marketing, Search Engine Optimization, Pay Per Advertising And Product Development With An Innovative Approach To Technology And Designing Methods. We Also Provide Various Solutions Like Web 2.0, Content Management Systems, B2B/B2C E-Commerce Solutions, Data Mining, Work Flow Solutions, Online Payment Portal And Reports Development. Web Applications Developed In Core Technologies - PHP, ASP.Net, ROR, JAVA And RIA. 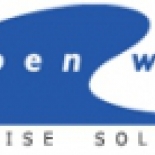 Openwave Computing LLC in New York is a company that specializes in Computer Related Services, Nec. Our records show it was established in New York.